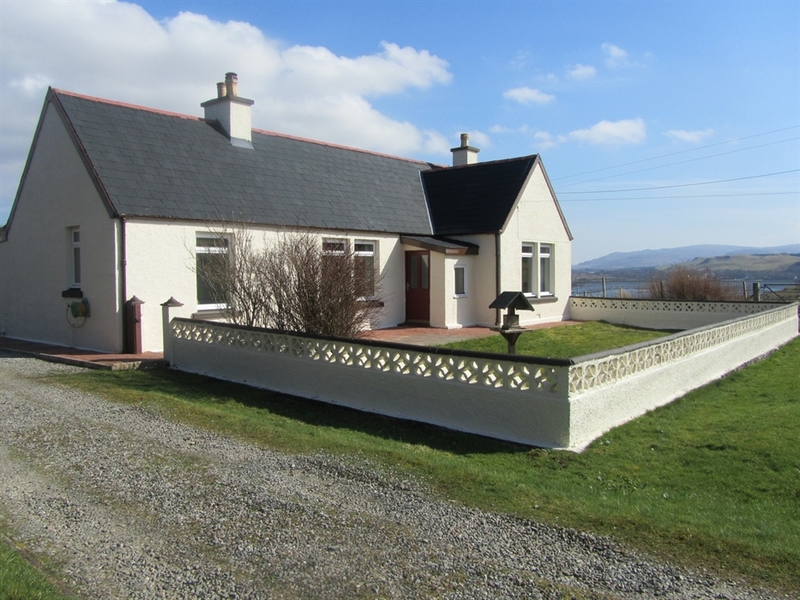 Taigh Sheumais is a comfortable, cosy, two bedroomed cottage in Bernisdale. Located between Portree and Dunvegan, it is the perfect base to explore all the stunning Isle of Skye has to offer. Newly refurbished as self catering, the cottage has everything you need to make your stay most enjoyable. 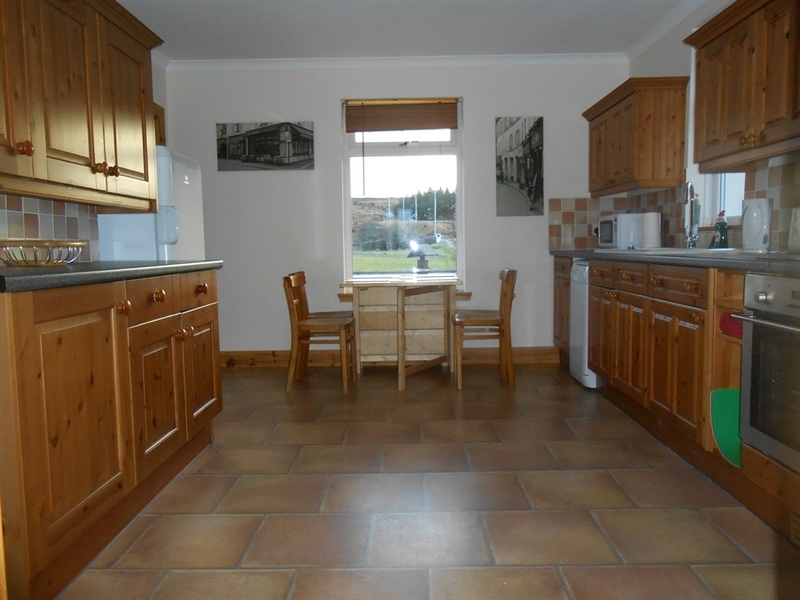 A large country style kitchen/diner with all modern appliances and utensils. 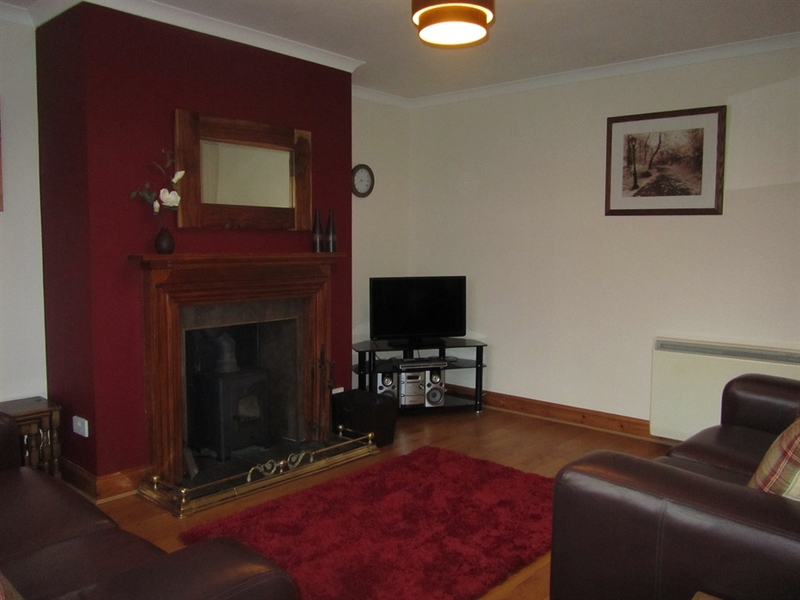 Lounge with multi fuel stove, two 2-seater leather sofas, smart TV with freeview, DVD player, selection of DVD's, CD's, books and games. 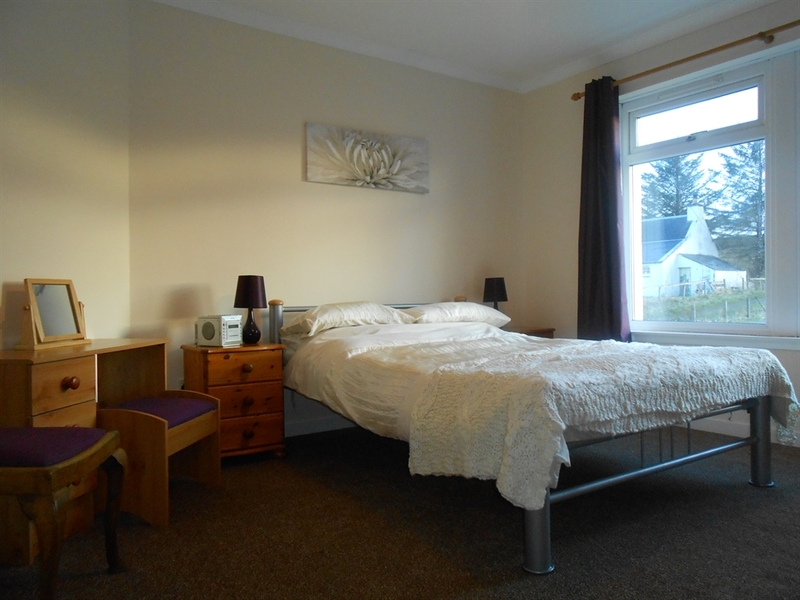 Double bedroom with freeview TV. Utility room with washing machine, tumble drier and counter top freezer. Outside there is an large lawn and an enclosed garden with a picnic bench. 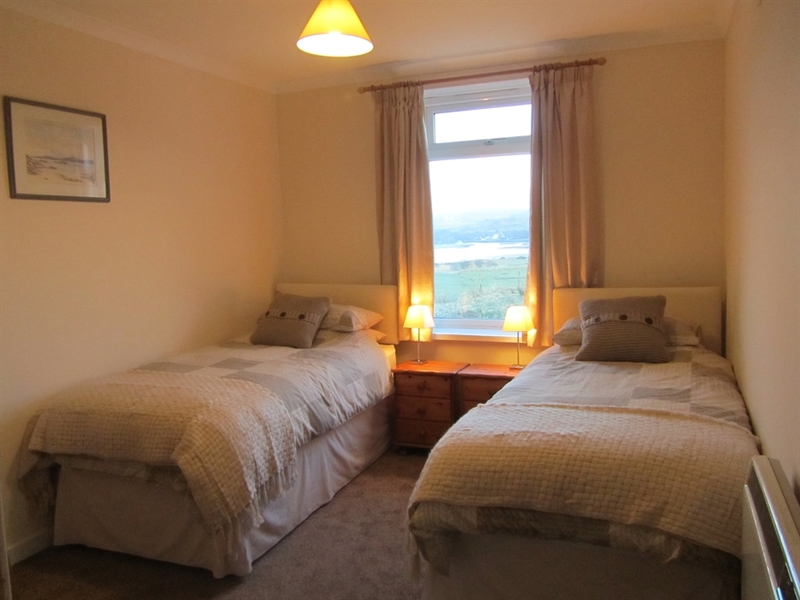 The cottage has stunning sea views towards the cuillin mountains. A travel cot, highchair and baby bath are all available on request. Taigh Sheumais is in the quiet crofting township of Bernisdale. Nearby is Skeabost Hotel, where you can enjoy a meal, a game of golf or a spot of salmon fishing. Pony trekking is also close by. Just 10 minutes drive from Portree and approx 20 minutes from Dunvegan with it's famous castle and seal boat trips. 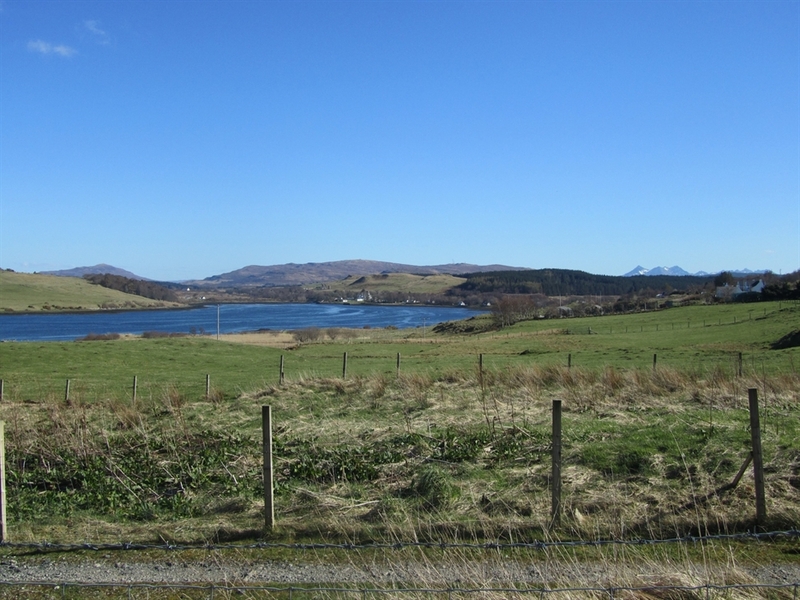 In Portree you will find supermarkets, local butcher, tourist information centre, restaurants, banks, cinema, swimming pool, various boat trips and excursions and lots more.